Found black and white photo i.d. from Japan, WWII era. Man identified in Japanese as Matsui Saburou. His physical exam photo before induction. Colored with markers, pen, photo dyes. 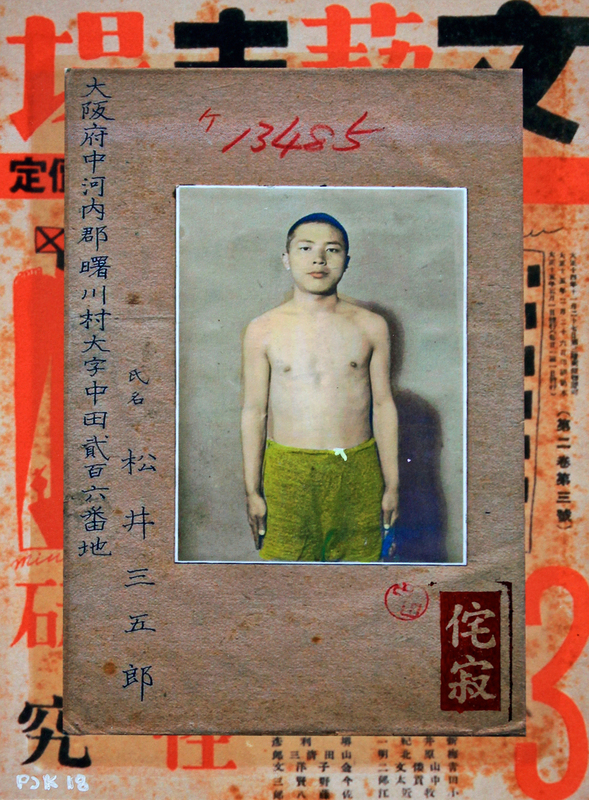 Mounted on vintage page from the Journal of Literature and Art (Bungei Shijyou.) Stamped with rubber stamp and ink for this continuing wabi-sabi series. More art and less war would be nice.